The International Research Risks Report from ORCR (formerly OHRCR) provides recommendations for mitigating the risks in conducting international human subjects research. Note: The articles linked below may require a subscription to a publication database, have a cost to download from that database/website, or require additional software to view. The external informational resources linked below address important areas for the development, approval, training for and conduct of international human subjects research. Investigators and IRB members may find these resources helpful when considering the multitude of unique and complex issues related to international human subjects research. This list was compiled by the U-M Office of Research Compliance Review (ORCR). SIDCER - The Strategic Initiative for Developing Capacity in Ethical Review (SIDCER) is a network of independently established regional forums for ethical review committees, health researchers, and invited partner organizations with an interest in the development of ethical review. AAHRPP - The Association for the Accreditation of Human Research Protection Programs, Inc. (AAHRPP), helps organizations worldwide strengthen their human research protection programs and provides a list of accredited organizations both nationally and internationally. FERCAP - Forum for Ethical Review Committees in the Asian and Western Pacific Region (FERCAP), aims to improve understanding and implementation of ethical review for behavioral and biomedical researchers in Asia and the Western Pacific region. CIOMS - The Council for International Organizations of Medical Sciences (CIOMS) is an international, non-governmental, non-profit organization established jointly by WHO and UNESCO in 1949. These resources represent a compilation of research laws and regulations in most countries in the world along with essential country information that is useful for IRB members who are reviewing studies being conducted abroad. OHRP International Compilation of Human Research Standards - Web page containing a downloadable document listing over 1,000 laws, regulations, and guidelines on human subjects protections in over 100 countries and from several international organizations compiled by the HHS Office of Human Research Protections (OHRP). OHRP Compilation of European GDPR Guidances - Web page containing links to country-specific documents providing guidance on the European Union's General Data Protection Regulation (GDPR, 2018) effect on US federally funded human subjects research, including legal, informed consent, and international data transfer guidance. OISE: International Integrity Resources - National Science Foundation (NSF) Office of International Science & Engineering (OISE) provides resources to assist in the development of training and oversight plans for the responsible and ethical conduct of research in international contexts and understanding international codes of conduct. World Bank Countries and Economies - Comprehensive national data for developing countries around the world; e.g., Agriculture & Rural Development, Aid Effectiveness, Climate Change, Economic Policy & External Debt, Education, Gender, Health, Infrastructure, Labor & Social Protection, Poverty, and more. World Health Organization Country Information - A webpage listing all the countries that are members of the United Nations and the World Health Organization. Includes population statistics, information on national health systems, mortality, disease burden, and the health profile of each country. Resources that describe the ethical issues and standards in conducting international research. Fogarty International Center Bioethics Information and Resources - U.S National Institutes of Health (NIH) Fogarty International Center website listing various resources for REC members, researchers, students, and others working to strengthen research bioethics expertise in developing countries. Presidential Commission for the Study of Bioethical Issues: Moral Science - Website listing reports and information evaluating of the current rules for protecting research participants (domestically and internationally) from harm or unethical treatment, with recommendations for 14 changes to current practices. Singapore Statement on Research Integrity - Website promoting integrity in research on a global basis, with a common approach (statement) to the fundamental elements of responsible research practice. Responsible Conduct of Research in the Global Research Enterprise - Report from the InterAcademy Council (IAC) & IAP global network of science academies describing basic values that govern research conduct and communication of results, including principles and guidelines to maintain the integrity of the research. Strategies for Protecting Human Research Subjects Globally (pdf) - Conference presentation from Research Triangle Institute International summarizing issues in the conduct of international research from the point of view of the researcher and federal regulatory offices. Chapel Hill, North Carolina 2004. Resources that describe issues related to written consent and alternate consent formats (e.g., oral, pictorial). Reviewing Clinical Trials: A Guide for the Ethics Committee (pdf) - Edited by Johann P.E. Karlberg (Clinical Trials Centre, Univ. of Hong Kong) and Marjorie Speers of AAHRPP. Sponsored by Pfizer, an AAHRPP accredited pharmaceutical company, through a "non-binding" grant. "What makes clinical research in developing countries ethical?" Emanuel, E., Wendler, D., Killen, J., Grady, C. Journal of Infectious Disease; 930-937 (189); 2004. "The Ancillary-Care Obligations of Medical Researchers Working in Developing Countries" PLoS Med 5(5): e90. Participants in the Georgetown University Workshop on the Ancillary-Care Obligations of Medical Researchers Working in Developing Countries (2008). Ethical Considerations in Biomedical HIV Prevention Trials (pdf) - Excellent resource about conducting clinical trials internationally published by United Nations AIDS and the World Health Organization in 2007 (with additional information added in 2012). See the UNAIDS website (www.unaids.org) for available foreign language translations. Ethical and Policy Issues in Int'l Research: Clinical Trials in Developing Countries (pdf) - National Bioethics Advisory Commission report discusses ethical issues when conducting research in countries where human participant protection systems equivalent to the U.S. have not been established. Resources that provide training on the ethical principles, standards, and procedures associated with human subjects research. Collaborative Institutional Training Initiative (CITI) - The CITI Program website provides a selection of educational modules that can be used to satisfy instructional mandates for the protection of human subjects. 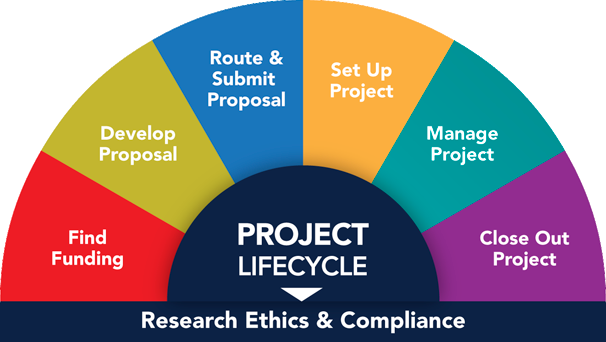 Research Ethics Training Curriculum - provides a basic and accessible level of training appropriate for individuals from different professional backgrounds and world regions; from FHI360, a non-profit human development organization. Johns-Hopkins Human Subjects Research Ethics Field Guide - website with links to multi-lingual versions of the guide, which intended for staff who will be "engaged" in some aspect of a human subject research interaction or intervention. A Study Guide To "Ethically Impossible": STD Research in Guatemala from 1946 to 1948 - (PDF) set of case studies to promote guided ethics discussion based on real world examples; Presidential Commission for the Study of Bioethical Issues (2012), Washington, D.C.